This is the ultimate adventure challenge. A camping and backcountry hut experience in the South Island of New Zealand. 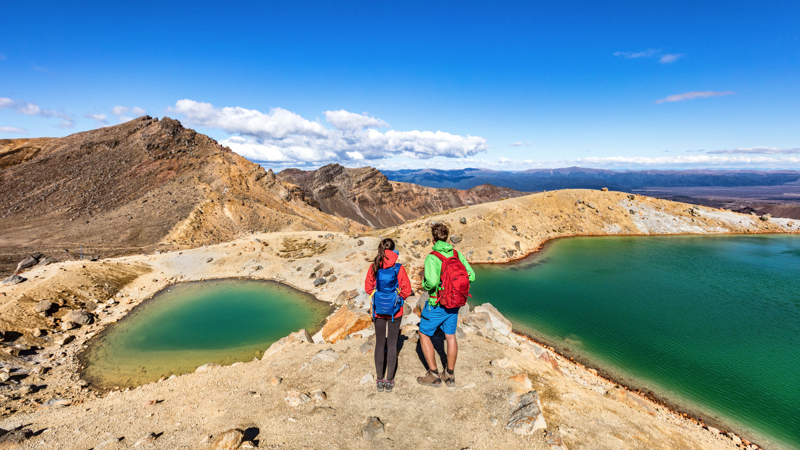 Hike through some of New Zealand’s finest scenery. 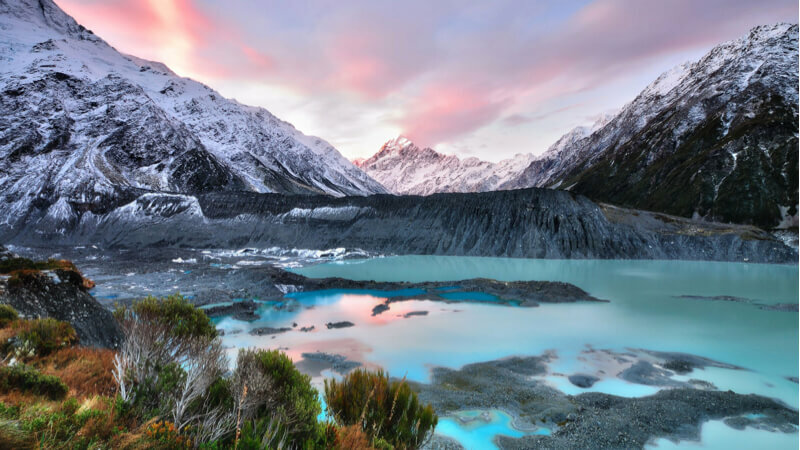 A stunning few days are spent in the awe inspiring Aoraki/Mt Cook National Park where you will be rewarded with views of impressive peaks, glaciers and valleys. Then we head south to Mt Aspiring National Park which is further into the alpine paradise of the Southern Alps. Spend the next three nights enjoying this outstanding location. Take 5 days to hike, cycle, cruise, snorkel and kayak with us around the North Island. The ‘Kauri’ combines perfectly with any of our South Island trips. You’ll be amazed by the variety of adventures and stunning scenery as we share the iconic locations and best-kept secrets of the North Island. The perfect addition to any of our South Island trips, the year-round ‘Kauri’ explores the sub-tropical north, a marine reserve, white sandy beaches, unique volcanic terrain, geothermal areas, Maori culture, an underground cave system and arguably the best mountain day-hike in New Zealand. 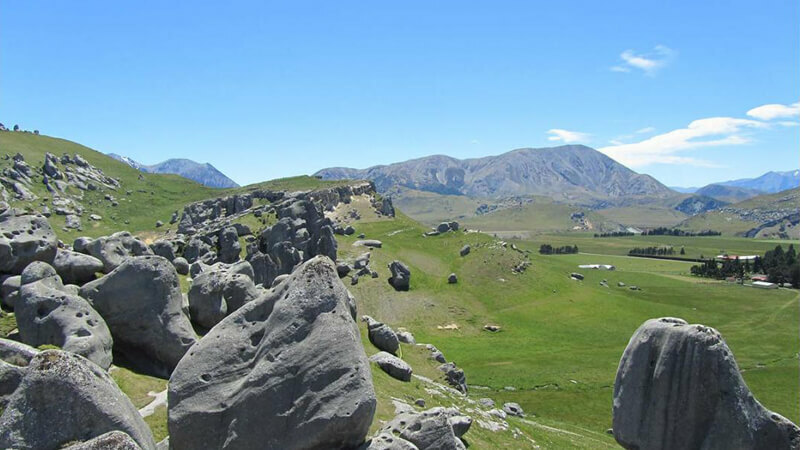 For a great way to see the rest of New Zealand, combine this trip with any of our South Island trips. 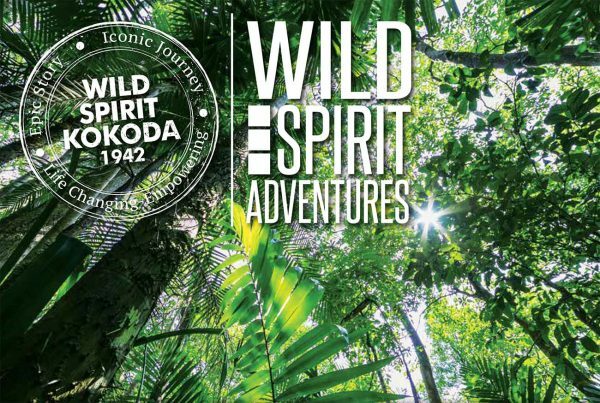 This is an action-packed adventure where you’ll explore some of New Zealand’s most iconic and remote wilderness. It works well if your vacation time is limited, since you can fly from North America on a Friday evening, sleep on the plane, and be back at work ten days later to share your photos and stories on Monday morning. For a great way to see the North Island too, combine this trip with our 11-day ‘Kauri’ (5-day ‘Kauri’ options available). A camping and backcountry hut experience in the South Island of New Zealand. Hike through some of New Zealand’s finest scenery. A stunning few days spent in the awe inspiring Aoraki/Mt Cook National Park where you will be rewarded with views of impressive peaks, glaciers and valleys. 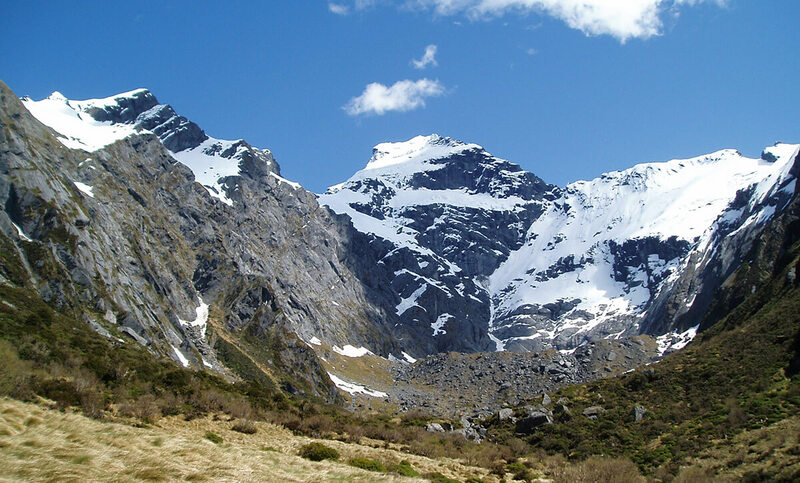 Then we head south to Mt Aspiring National Park which is further into the alpine paradise of the Southern Alps. Spend the next three nights enjoying this outstanding location. I participated in a hiking tour by Hiking New Zealand and I must say that it has been maybe the best trip that I have had. The places we visited were gorgeous, the group members were great, food was good and guide was really committed to go the extra mile for our enjoyment. He even lent me a book from the library about the maori and their legends as I was really interested about the history of the people of New Zealand. Every detail was taken care of. I loved not having to think about driving, food, lodgings, pit stops, trail maps, etc. ….They provided excellent information in advance so I was well prepared with what I did bring. As a solo traveler, I was very comfortable with the small group and our knowledgeable, engaging guides. I saw and learned more than I ever would have on my own. Average of 4-5 hours physical activity per day, up to 8-9 hours on longer days. Pack weights of 10-12kgs on some days. Altitude gains of up to 900m. Need to be reasonably fit and enthusiastic. Terrain mostly tracks. Some may be slippery or rough; some off-track hiking and river crossings. An excellent guide can make the difference between a trip of a lifetime and just an ordinary trip. Our handpicked professionals come from a range of backgrounds. Each has extensive outdoor and hiking experience and a passion for New Zealand’s wild and beautiful backcountry. 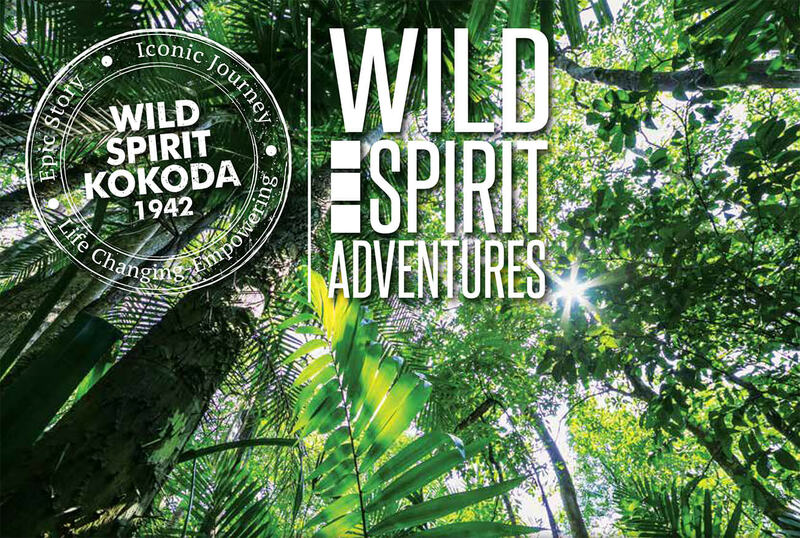 The guides will ensure that your trip is truly inspiring, a huge amount of fun and safe. All guides are trained in Mountain Safety First Aid. As well as being the time to rest, refuel and recharge, meal times are also a great time to get to know your fellow travel-lers better, sit back and enjoy the amazing surroundings and enjoy some great food! Everybody helps with the prepara-tion and cooking of meals. But don’t worry – we won’t ex-pect you to make it up on the spot! As everything we eat we need to carry on our backs, a lot of careful planning goes into choosing meals that not only give us plenty of energy and nutrition but are also light to carry, easy to prepare and most importantly – taste great! If you have any specific dietary requirements, please let us know when you book and we will make it work. As most of our time is spent in the wilderness there is not much time spent in the bus. Our big driving days are on day one and day three. New Zealand has an excellent network of backcountry huts and you will camp the first two nights and stay in basic huts the last three nights (subject to availability). These huts are equipped with mattresses, running water and an outside toilet. Cooking is done on a portable stove. Huts are only accessible by foot and are shared with other hikers. We will always carry tents or tent flies so we can camp away from the huts in remote wilderness settings if required. We have one non-wilderness night where we will enjoy the luxury of a hot shower. This is in the middle of the trip. All meals and activities are included that are outlined in the itinerary. It is suggested that clients take out comprehensive travel insurance. Items shown in bold can be hired from us (see the rate table below). Please arrange hire at least one week prior to your departure date. We recommend that you bring two bags on your trip, a hiking backpack with an internal frame (at least 60 litres in capacity) for the overnight hikes, and a smaller day pack for the day hikes. We supply kit bags for the stowage of your gear in the trailer when you are away on a multi day hike. WALKING CLOTHES: Several layers of wool, polypropylene and/or polar fleece will ensure you remain a comfortable temperature regardless of the weather. No cotton shirts hiking/kayaking in the wet please! Cotton gets cold when wet and is difficult to dry. SPARE CLOTHING: Extra socks and polypropylene layers are always handy – ensure you have enough warm items. Comfortable clothes for non hiking days. Spare clothing can be left in the secure trailer when we are away on the hikes, so don’t worry about the extra weight – ensure you have enough warm items. Note: there are only limited opportunities to do laundry during a tour, so quick drying clothing is an advantage. Weather can change rapidly in the locations we hike so layers of clothing is ideal. It’s not always easy packing – feel free to drop us a line if you have any questions. Stay together. Wait if you have not seen the group for 10 minutes. Wait at all track junctions, huts, or river crossings for everyone to catch up. If you get separated, stop and wait until your guide finds you. Watch out for sunburn. Remember, NZ sun burns fast, wear a hat andsun block at all times until you are familiar with its strength. Drink plenty of water, it is safe to drink from most of the streams in thewilderness without treating the water but do ask. Help and look out for each other on river crossings, bush bashing androck scrambling. Ensure you have correct clothing – see ‘packing’ list. Hiking tracks in NZ can be quite muddy and sometimes rough with treeroots and rocks. But this is part of the fun. Snow slopes are extremely dangerous – guide leads on snow. No fooling around unless guide gives the OK.
River crossing accidents are a major cause of fatalities in the NZ wilderness so learning correct techniques from your guide is imperative. If your pack has a quick-release hip belt keep it fastened (to prevent thepack riding over your head if you end up swimming). Chest straps andother hip belts should be undone. Wear shorts not long pants. If wearing a rain-coat turn up and tuck underhip belt so pockets don’t fill with water. You must wear boots when crossing rivers. To prevent the spread of Didymo (an invasive algae) boots, gaiters, socks etc. must be washed and dried before entering another waterway. Always attend the safety briefing. Always take spare warm clothing in case the weather turns bad. Go to the toilet before you get into the kayak. Wrap valuables and cameras securely in bags or dry bags andclose PROPERLY. Put adsorbent cloth/t-shirt with camera. Always attend the safety briefing, know the meet times and ‘back up’ plans. High visibility clothes if road sections. Stop to smell the roses – you might be wearing yellow, but its not the Tour de France! Helmets are compulsory in NZ. In NZ front and rear brakes are opposite to US and Europe. Does your torch/headlamp have good batteries – carry spares if you need. If you want to take a camera, make sure that it is wrapped securely in plastic bags or dry bags. Go to the toilet beforehand. Talk to guide if you are nervous about caving beforehand. Cave formations take thousands of years to form – please don’t touch them unless your guide okays it. Many NZ beaches are too dangerous for swimming, in particular the West Coast beaches. Talk to your guide before you go swimming and don’t swim alone. Respect the sea – never turn your back on the sea and watch out for freakwaves & rips – even when beach walking. If you get into difficulty while swimming – raise one of your hands upabove your head – stay calm. Be careful entering the sea. Don’t run into the sea – there may be rocks below the water. Keep head above water at all times – water may contain amoebic meningitis. Remove jewellery as it tends to turn green or black. Observe all fire bans. Keep fires small, use only dead wood and completely put out with water before leaving and at night (includes wood burners in huts). Always have a bucket of water near fire to extinguish it and for burns (or stream/river nearby). Be careful when wearing synthetic clothing around fires. Sparks put holes in Gore-Tex and tents. Do not use axe without guide’s okay – wear boots. You’ll get to a shower mostly every 1-2 days, otherwise there are rivers to have a wash in. Keep streams, lakes and rivers clean – when cleaning and washing, take water and wash well away from the water source (drain used water into soil to allow it to be filtered) – all soaps/detergents are harmful to water-life. Laundry facilities are limited while on trips (every 2-3 days). Always use toilets when they are provided even though long-dropsmay be a bit rustic! In situations where there is no toilet, bury toilet waste. No 1’s (pee) offthe track – No 2’s (poop) in 5-10 cm deep hole 50-100m from any water (lake, river or stream), bury toilet paper, cover up hole with soil/leaf litter. Please do not burn toilet paper. Sanitary pads/tampons are treated as rubbish – carried out by user – ask guide for sanitary rubbish bags. Correct hygiene and toilet practices are essential to keep water supplies (rivers, lakes) safe to drink. Remove rubbish – pack it in, pack it out. Please help guide to separate rubbish, recycling and compost. Enjoy your visit – camp carefully and leave no trace of your visit. Will the next visitor know you have been there? Hypothermia – make sure you wear & carry the correct clothing! Fitness – hiking all day with a backpack on is hard work, get fit beforeyou come on a kiwi-style trip. If you are fit enough you will be able totake part in all the hikes. Hire gear – use the supplied liner with sleeping bags, carry all hire gear in pack not tied to outside. Please tell us if any repairs are required. Equipment – it is so easy to lose stuff in shared huts. Help us keep aneye on gear. Roads – remember kiwis drive on the left, look carefully when crossing the street for an ice-cream. Tipping – it is not expected in NZ to tip for service, but if you feel yourguide has done an excellent job, tips will be accepted graciously. Thank you for reading. Have a wonderful trip.